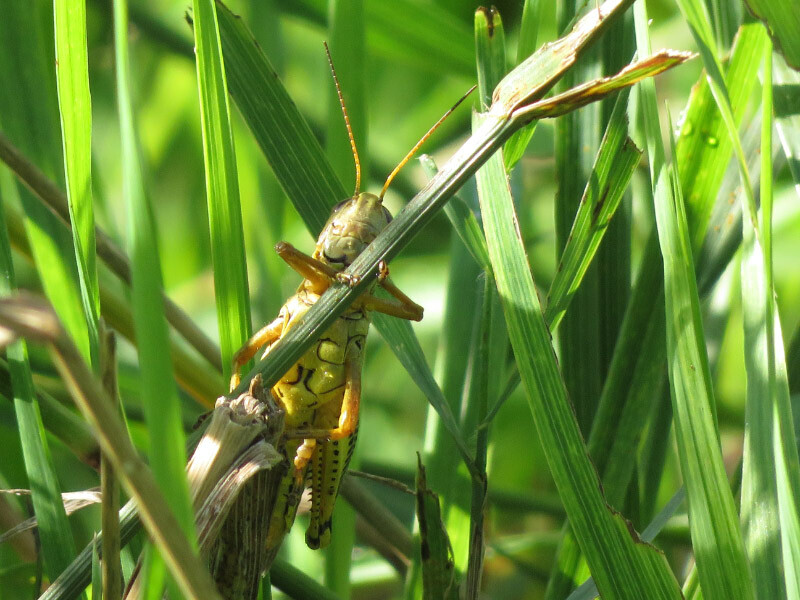 The 2017 occurred one week ago – and I’m posting about our experience today! 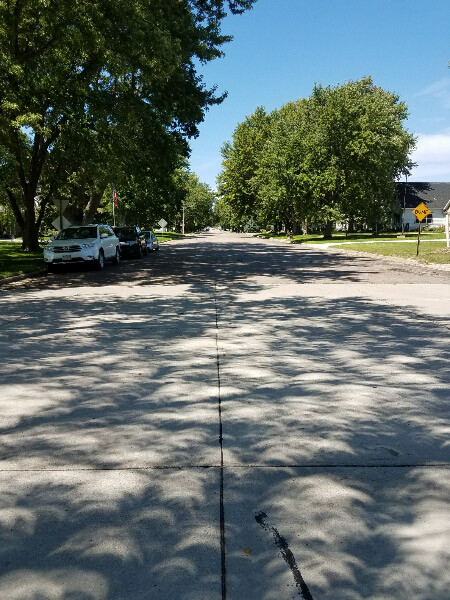 We were concerned that York, Nebraska – where we had originally planned to be to observe the eclipse - would be cloudy so we’d looked at maps and weather forecasts the evening before and decided to drive 1.5 hours west and north to Loup City, Nebraska. 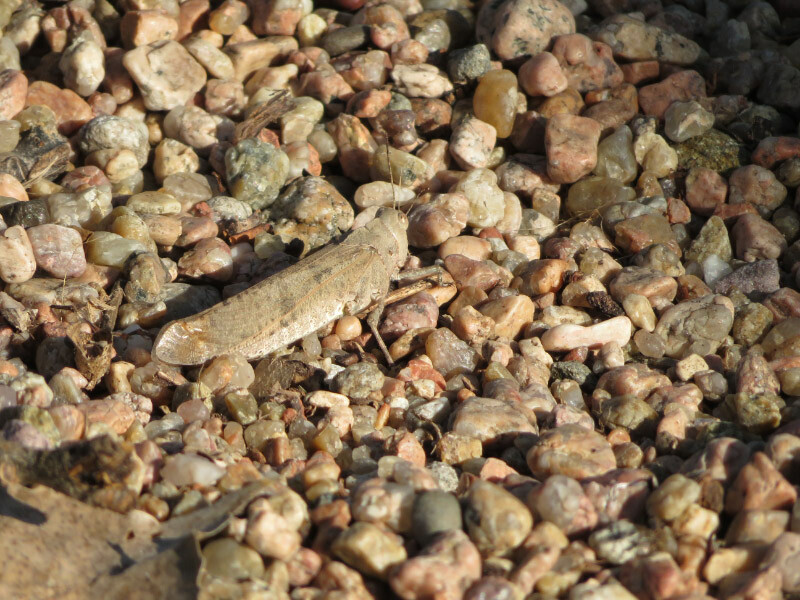 It was a short drive west along the Interstate and then through farms. 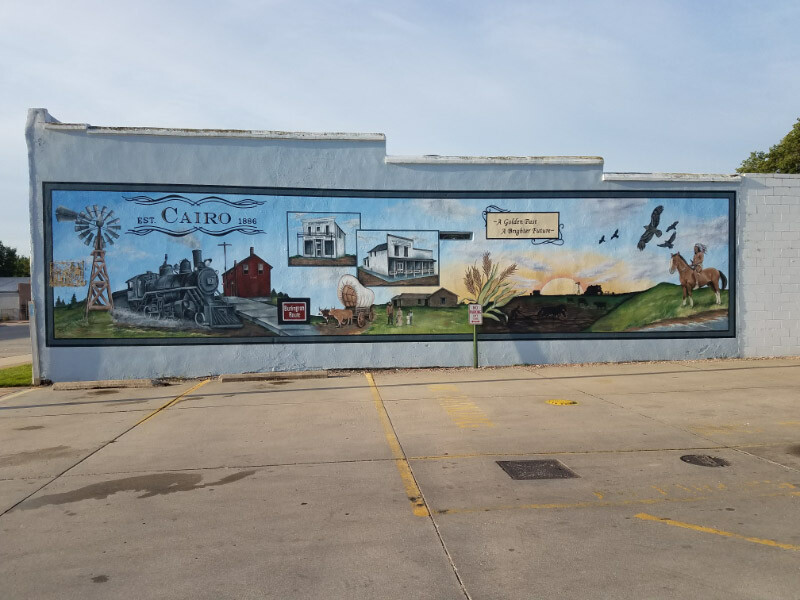 We made a ‘rest’ stop in Cairo, Nebraska since there were several locations in Loup City and we weren’t sure how long it would take to find things/what facilities would be available. 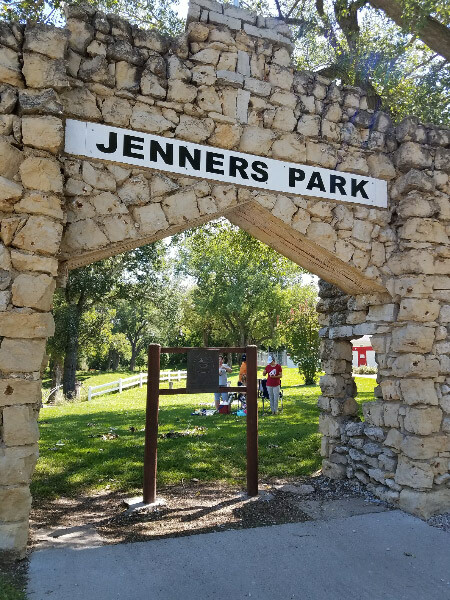 The first location we found was perfect: Jenners Park in Loup Nebraska. 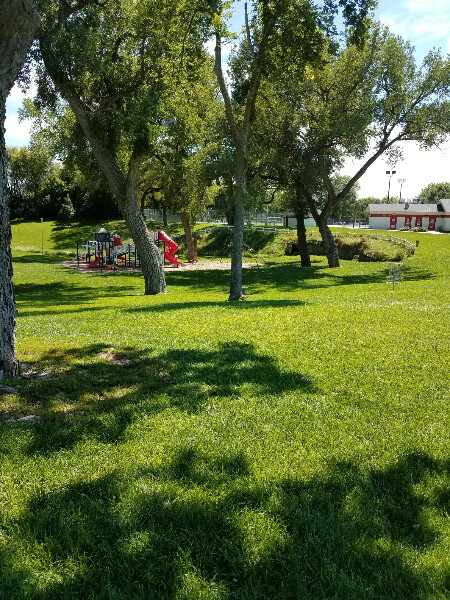 There was a playground and bit trees. I walked around to look at the place before the eclipse started. 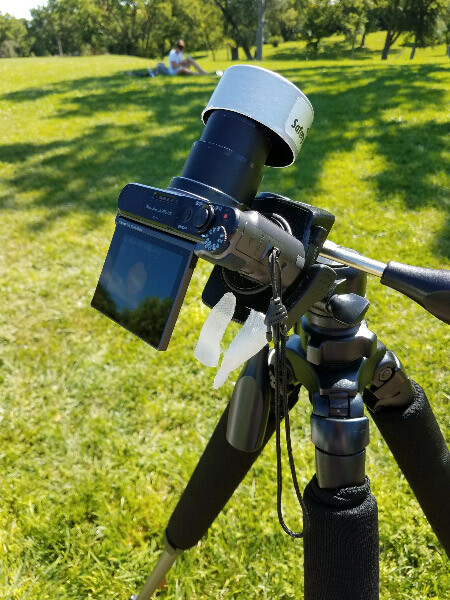 Then I came back and put my camera on a tripod with a solar filter ready for the eclipse to start. 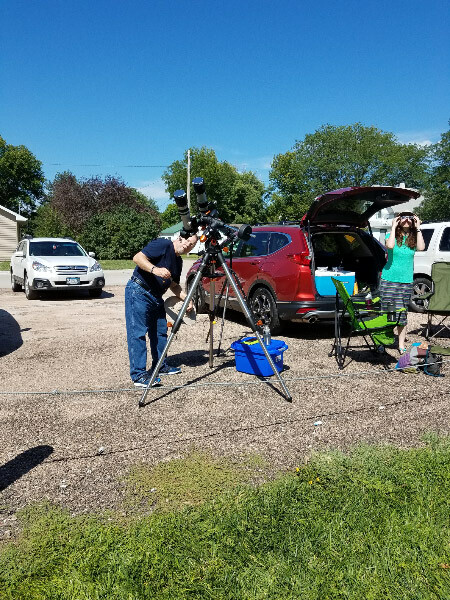 My husband had a fancier set up with two cameras on a telescope mount (so it would track) and another tripod with a camera to take video during totality. 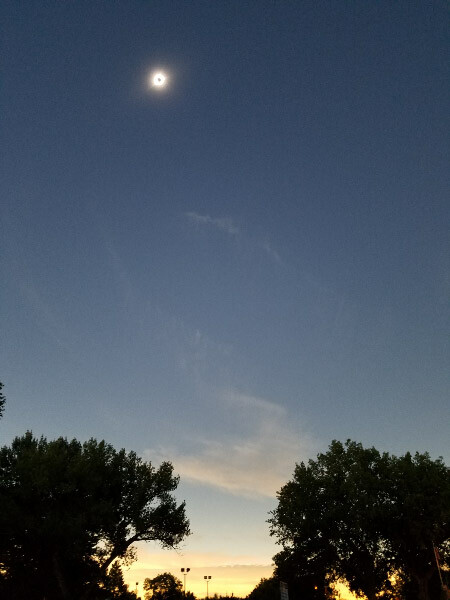 My daughter enjoyed the event without a camera….although she did give in a take some pictures during totality with her cell phone. 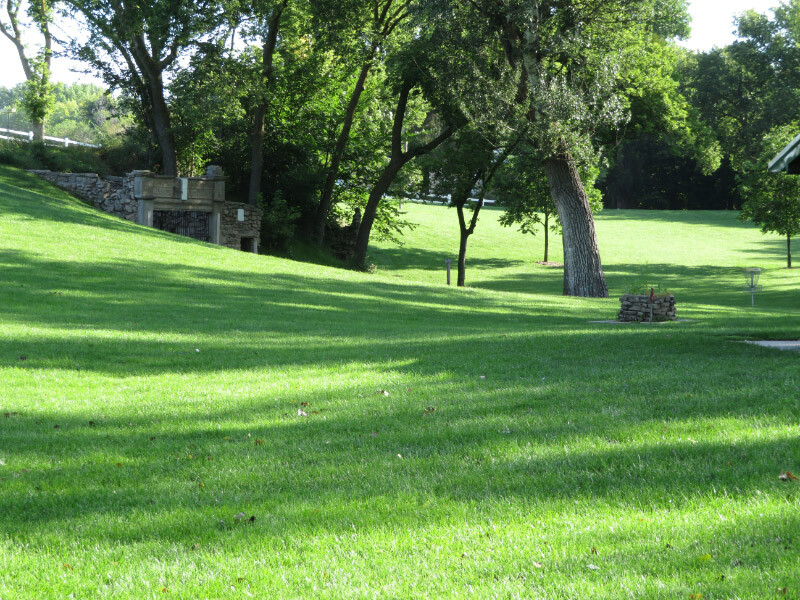 Other families enjoyed Jenners Park as well and there were pleasant conversations as the eclipse progressed. There were several people with connections to University of Arizona where my daughter just finished graduate school! 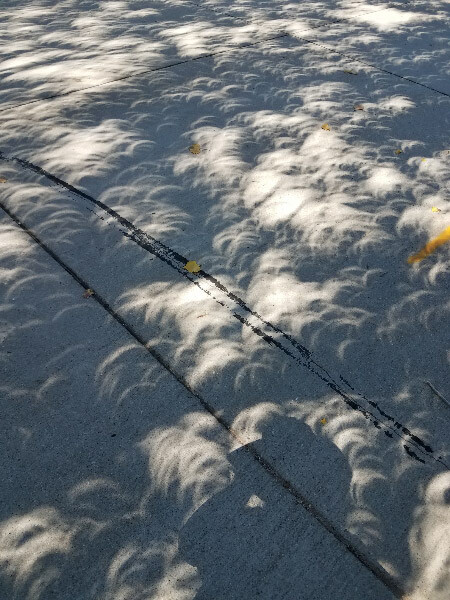 One of the cottonwoods near the street had the effect of a pinhole projection system for the eclipse. 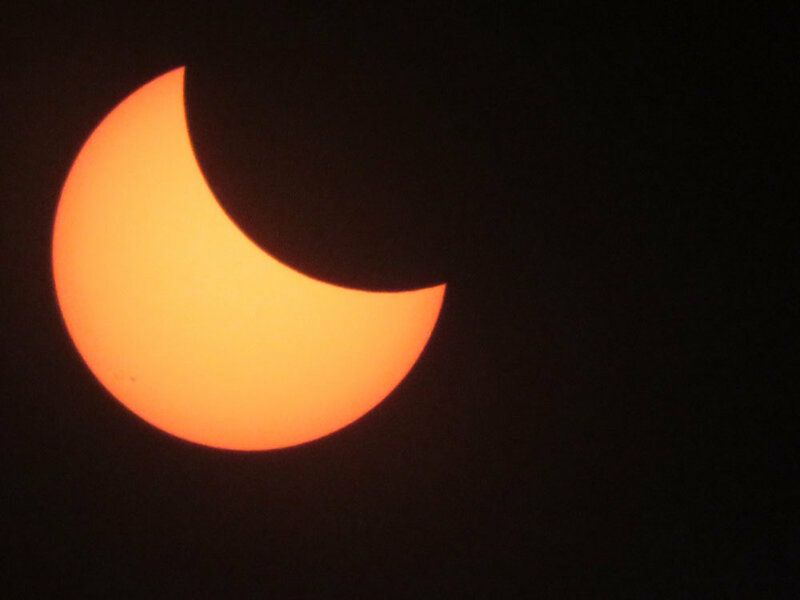 The first time I noticed it was earlier in the eclipse…and the second was much closer to totality…just a sliver of the sun shining. 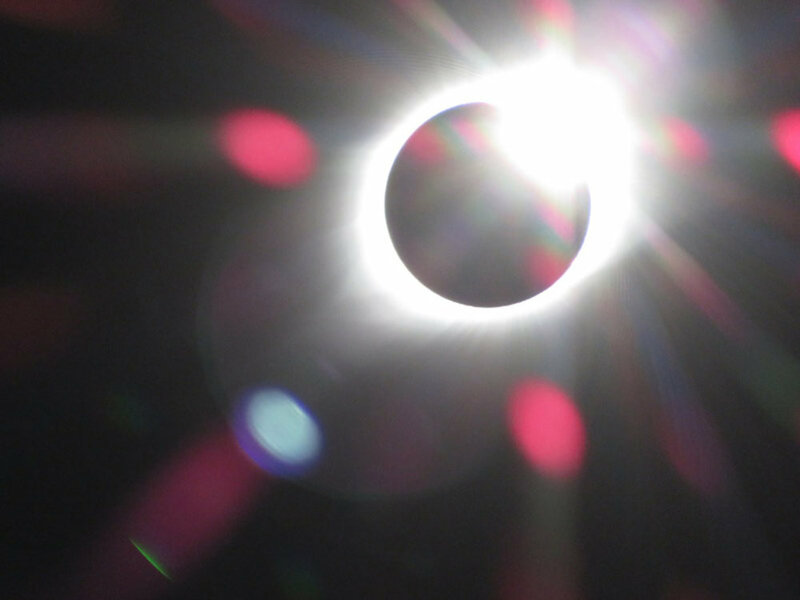 I hurried back to my camera to observe totality. 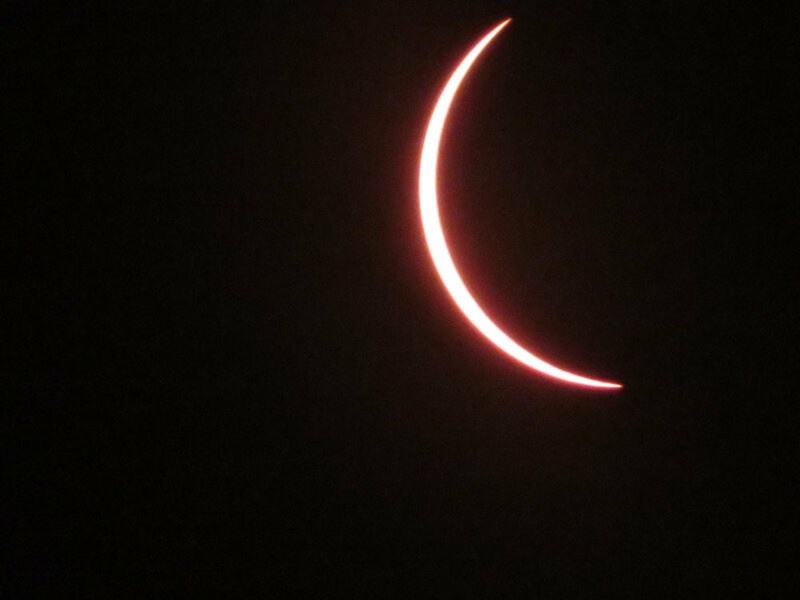 The slide show below shows my pictures as the eclipse started and through totality. 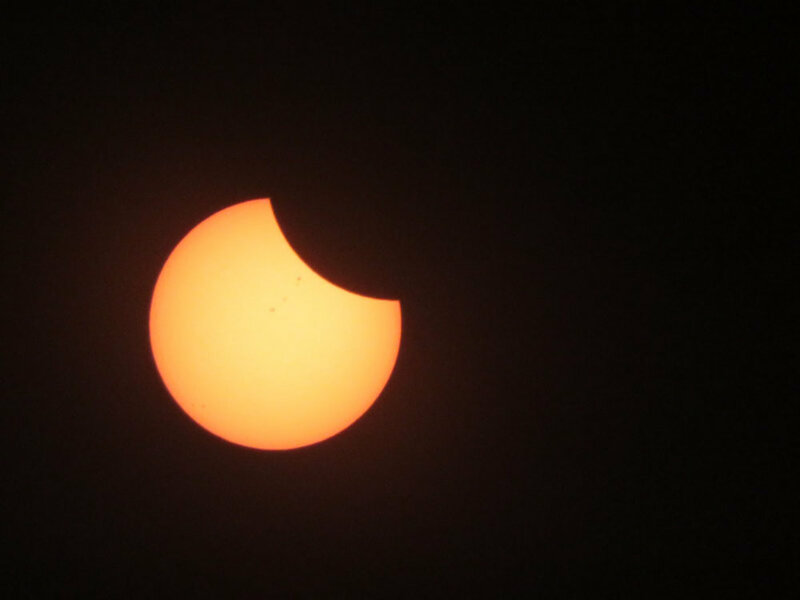 Note the sunspots in the early pictures and the shadow blocking them as the moon moved between Earth and the sun.